The following is a guest post by Pamela D. Wilson, CSA, MS, BS/BA, CG. Pamela is an advocate for family and professional caregivers. She is a recognized expert in the areas of advocacy, caregiving, care navigation, aging parents, family and professional caregiver relationships and long term care. An industry leader, Pamela desires to change the common belief that minimum standards of care are acceptable. 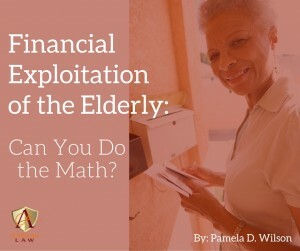 To learn more about Pamela and her work, visit PamelaDWilson.com. I recently received a letter with an AARP logo telling me that I may have sewer line issues and that I should contact a particular company to have an investigation completed or I might be personally liable for damage to my sewer line and to the homes of my neighbors. I took a moment and was able to review a logical process in my mind that confirmed that my house is on a well. If there is a well then there is no sewer line. If there is an issue, it would be with my septic tank not my sewer line. If there is no sewer line then there is no potential for damage or to the homes of my neighbors, who also, by the way, have wells and septic systems. My next thought was that the sender of the letter obviously didn’t check to make certain I was on city water with a sewer line. The next thought was that they were sending thousands of letters to residents who might not be able to review a logical thought process that would confirm that the letter was a scam. This thought made me angry, however I confirmed with the police that the letter was not illegal. What a shame that some older adult in my neighborhood would likely participate in this scam and have no recourse. 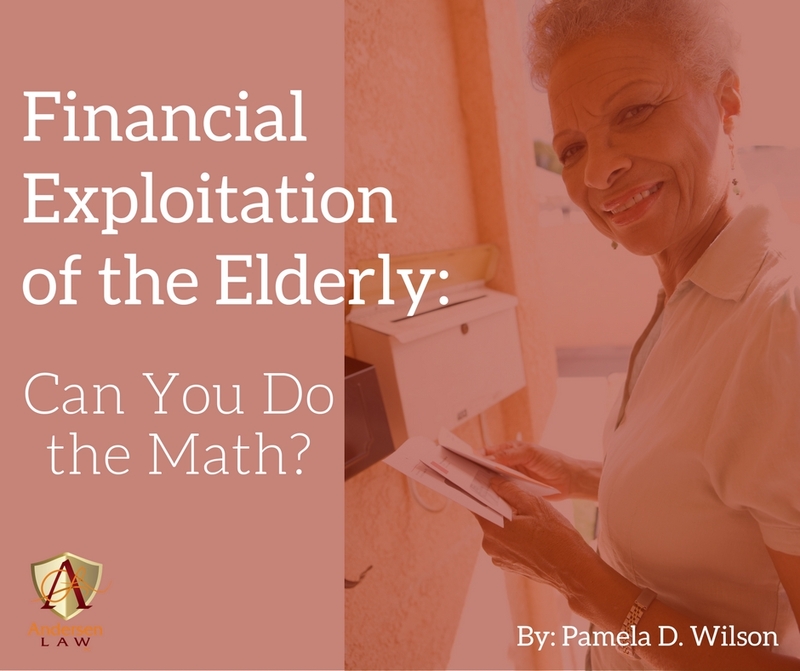 Research indicates that many variables affect the ability of an older adult to succumb to financial abuse or make a poor medical decision. One variable is a decline in arithmetic skills. Another variable is specific to the concept of “numeracy.” Numeracy is different from adding or subtracting numbers. Numeracy relates to mental engagement, comprehension, and the ability to use numbers or math skills to make a decision. Numeracy also involves the ability to gauge probability that relates not only to financial but to medical decision making. Numeracy is an important skill that is affected by other factors like prior education and the ability to use numbers for practical purposes. I received another letter on behalf of a client stating that my client’s home loan might be in default. My client owns the home free and clear, thus, again, logic would indicate that the letter was a scam. Evaluation of financial information requires deliberate reasoning and decision making skills, which may be challenging when we are young and becomes more difficult with age. The skill to realize that a subject matter may be out of the scope of one’s ability or expertise is important, especially when making financial or medical decisions. This post originally appeared at PamelaDWilson.com. Thanks to Pamela for allowing Andersen Law PC to share it here with our readers.